Every once in a while we take a break from our REPLY TO ALL weekly discussions to instead have our writers point out something in the game industry that has captured their attention lately. Well that's one way I haven't killed a zombie yet. I’m giving a shout out to zombie game developers everywhere. Every time I begin to think the genre is growing stale and boring, I am consistently surprised by the different variations and versions that are coming out. Lollipop Chainsaw, Dead Island and there are many more to include. I’m also excited that Resident Evil: Code Veronica HD came out recently too which is always a plus! My shout out was inspired by Digital Reality Ltd.’s SkyDrift, but is more generalized to the developers out there: I’m coming up on my anniversary with Horrible Night and I’ve done a lot more research and thinking about games than I had been – we really are living in a renaissance period for video games. It’s not just massive technological jumps but also a lot of innovation when it comes to taking old ideas and making them fresh, unique and lots and lots of fun (Shadow Complex – Metroidvania, SkyDrift – all of those 80’s/90’s arcade racing games, even Minecraft is basically how Legos/Construx whatever were in your head as a kid!) So…keep it up! I want to recognize Rockstar for celebrating the 10 year anniversary of Grand Theft Auto III. I’m happy to see that they will port the game to iOS devices. Rockstar has a solid understanding of how they got here, and I’m happy that they are recognizing that. I just wish the action figure didn’t come at such a steep price. Although we went out own route with ACTGamers.org and the days of our marathons were just a coincidence, I have to give a shout out to Extra-Life.org. They managed to put together a stellar website experience making it incredibly easy for gamers and other game websites (like Destructoid) to run their own marathons this past weekend. They pushed for Oct 15th to be the major marathon day and were able to raise over $1 million for the Children’s Miracle Network Hospitals. It’s amazing to see gamers get organized like this and you have to applaud the team for making it so easy on everyone to get involved. Thank you for giving High Moon a chance at a proper sequel to one of my favorite games of 2010, Transformers: War For Cybertron. After this year’s rushed, and subsequently panned Dark of the Moon tie-in, I lost all hope for a continuation of the G1-prequel series. 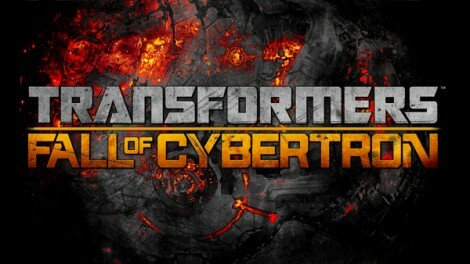 Metacritic be damned, apparently, as Game Informer just unwrapped a cover story featuring Fall of Cybertron, scheduled for release in fall of 2012. A couple of great interviews with the game’s Director, Matt Tieger, and a tease of Grimlock later and I’m ready to fast forward twelve months to get this thing in my hands. So far, it sounds like High Moon knows which parts of WFC were good enough to double down on, and which ones needed revamped. Of course, we’ll know just how wise they are once we find out whether or not they tapped Stan Bush for another stellar theme song. My shout out goes to Relic games for finally bringing my favorite race, the Tau, to WarHammer 40K Dawn of War 2. Sure, it’s only in last stand but this may be an indication that a fully realized Tau army will be making its way onto the battlefield. It’s been awhile since I last fought a bunch of crazy crap what amounts to be no real particular reason, so what better way to jump back in then by throwing on some anime inspired mech armor and shredding some behind with laser beams! I want to give Rocksteady some major kudos for Batman: Arkham City. Having not had my hands on it personally, I have to rely on reviewers that I trust. Those reviewers have nothing but positive things to say about it so I know it will be an excellent follow-up to the superb first outing. When the first Batman came out, people questioned if Rocksteady could be successful at such an ambitious project. Now there are two major games under its belt that are excellent. Can’t wait to see where they go from here. What deserves a shout-out from you?